Some time ago, Pam one of our neighbours on the site said that although growing broad beans on her plot she wasn’t sure that she liked them. Convinced that I had recipes that would persuade her otherwise I have been leafing though my cookery books and looking on line. It’s safe to say that broad beans are having something of a revival and there is plenty of choice, albeit generally based around salads or as a dip, rather than with gammon and parsley sauce as I remember from my childhood, and the one thing they nearly all have in common is that they are double podded. That is to say their outer pod is removed, they are cooked and then the skin from each bean is removed. My guess being that this is because prepared in this way they are a more vibrant shade of green and therefore look more attractive in the photograph (I understand that food styling is major factor in sales of any cookery book in today’s market) and also because they are considered to taste sweeter. Well here’s the thing, firstly who has the time? It was Shirley Conran who famously said ‘life’s too short to stuff a mushroom’ so go figure recipe writers. Secondly if you grow your own beans and they are getting plenty of water and are freshly picked, cooked and served they will always be sweet. So the conclusion? Simply steam or boil for three minutes, salty butter or perhaps parsley sauce or my current favourite served warm dressed with a vinaigrette. Whisk together and use to dress warm broad beans. Would also be nice with some crisp fried bacon lardons. As an aside, if your a woman of a certain age you might remember Shirley Conran’s novel Lace. Well it’s being re released thirty years on and is available from August. Details here. Love the title…I totally agree! A family friend always used to say this, and it’s become a family saying now – I had no idea where it came from. 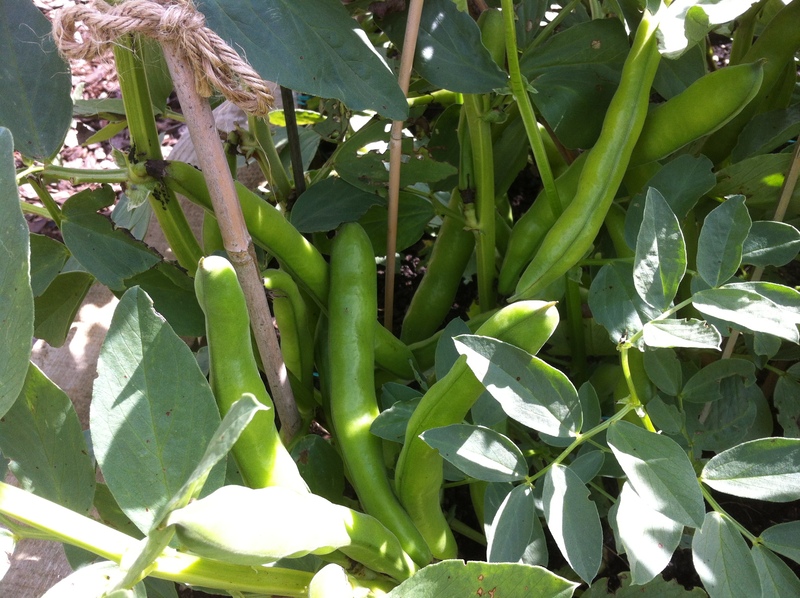 I have the same problem with broad beans – I grow them because they fill that ‘hungry gap’ but the children regard them as the Devil’s Work, which means they don’t get eaten that often and sort of languish in the freezer. I will pod some broad beans with new enthusiasm. Laughing, I loathed them as a child but then my mother cooked her vegetables in a pressure cooker so you can imagine. Jamie Oliver has a bruschetta recipe that makes that blends them with peas, lemon, oil etc. which might be more palatable. Success! 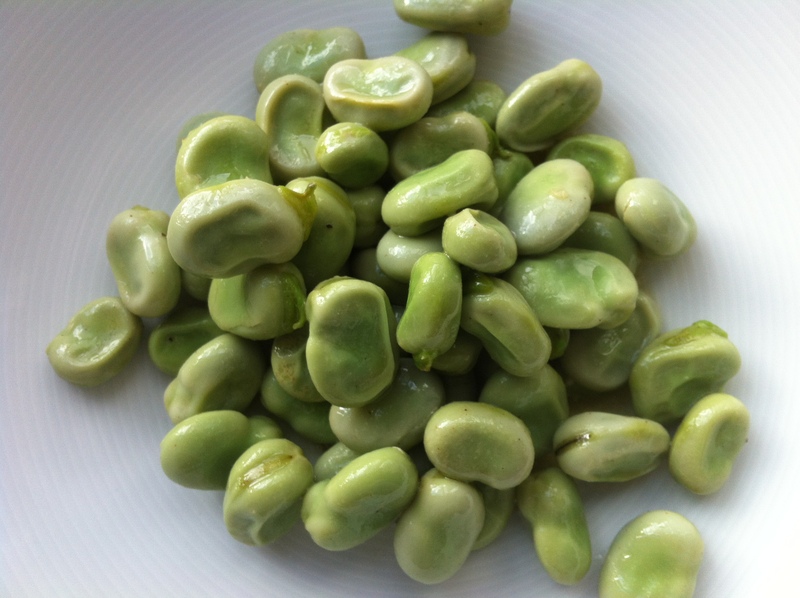 Tried broad beans again on the children – they picked some themselves, spent ages sorting them by size, fed some bits to a ‘pet’ snail – but then, finally, ate some. They seemed to love the very tiny ones, just steamed a bit. Will try the Jamie Oliver recipe, sounds good! Thank you. Great news. Do you want the link for the Jamie Oliver recipe? I’m going to try it on Friday with the dregs of the crop. They look amazing. Hope they are as good this year.